A youth dove hunt, sponsored by the S.C. Department of Natural Resources and U.S. Forest Service, is scheduled for Saturday, Sept. 7 at the U.S. Forest Service Power of Partnerships Dove Field in Abbeville County. The field is at the end of Bass Road, which is about 5 miles east of Abbeville on SC Highway 72. No pre-registration is required, and the field will be open for the youth hunt from noon until 6 p.m.
For more information, call DNR’s Abbeville Field Office at (864) 223-2731. Eligibility for the hunt requires adults 21 years or older to bring one or two youths 17 years of age or younger. 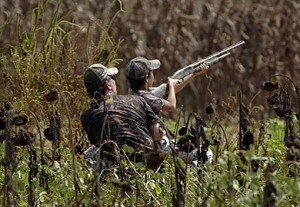 1) Adults accompanying youth are not allowed to shoot at any time during Special Youth Dove Hunts. 2) Adults must remain in the field and closely supervise participating youth at all times. 3) In parties of one adult and two youths, only one youth hunter may be handling a loaded firearm at any given time. 4) Bag limit is 15 birds per youth participant. Birds harvested by individual hunters must be kept separate, and in no instance may an individual hunter harvest more than 15 birds. Youth 16 years or 17 years of age must have a Junior Sportsman’s License or a one-time Apprentice License, which waives the hunter education requirements for one year.